In general, people who hear about Dallas commercial property management and real estate think of cattle ranches and oil properties. The Dallas-Fort Worth metropolitan area (a.k.a. DFW, or The Metroplex) was certainly built on those industries. However, this metro has outgrown its humble heritage. Without a doubt, modern DFW’s economy is diverse. Furthermore, it has a variety of commercial real estate assets. The Metroplex is made up of 13 counties. On top of that, it is larger than Connecticut and Rhode Island combined. The area is anchored by Dallas (a city of 1.2 million) and Fort Worth (over 800,000 residents). Even more, DFW has cities like Arlington, Irving, and Plano. Each of these cities has over 200,000 residents. In addition, a number of cities have over 100,000 residents. Not only does the nation’s largest inland metro area have almost 7.4 million residents, but it also grows daily. Almost 400 people relocate to DFW each day. In general, DFW has a history of business. On top of that, the area has a relatively low cost of living. And it has Texas’ business-friendly/ development-friendly regulations. Consequently, this creates a great business environment. In the end, where there is business, there are always commercial buildings requiring commercial property management services. Learn more about the variety of commercial real estate services we offer through our Dallas-Ft. Worth Metroplex office. Significantly, DFW’s economy is the 4th largest in the nation. Surprisingly, it is the 17th largest economy in the world! Key industries include technology, energy, banking, commerce, healthcare, medical research, telecommunications, transportation, and logistics. Moreover, Dallas has ridden a seven-year wave of growth. After the Great Recession of 2008–2009, the area rebounded quickly, continually adding new jobs. Almost 750,000 jobs have been added since 2009. For instance, that is four new jobs for every job lost in the recession. Indeed, healthy growth in sectors like manufacturing, trade, financial, education, and health has boosted employment. Downtown Dallas CBD — Revitalized and ready for business, the CBD is Dallas’ heart. It has 30 MSF of multi-tenant commercial office space. In particular, there is 20 MSF of Class A office space. As a result, these spaces need an excellent commercial property management firm to manage them. This submarket hosts some of the Lone Star State’s largest law firms. In addition, it has many of Northern Texas’ top-ranked and largest companies. Central Expressway — North of Dallas CBD, this area has numerous Class A and B office buildings. Also, others are being constructed. Due to stable vacancy rates and slightly rising rents, it is a prime spot for relocation. Especially for clients facing higher rents in Uptown and Preston. Uptown/Turtle Creek — An increasingly popular submarket directly north of Dallas CBD. Altogether, there are approximately 11 MSF of multi-tenant office space. 87% of this is Class A.
Preston Center — North of Uptown/Turtle Creek. In recent years, this popular submarket has seen rental rates and vacancies rise markedly. LBJ — It has almost 20 MSF of rentable space. After several years of decline, this corridor along I-635 has made a comeback. In particular, this is true of the office sector. Las Colinas/ DFW Airport — North of Mid-Cities and northeast of Dallas CBD. This area has benefited from new projects with millions of SF of space. There is now over 30 MSF of rentable space. Richardson/ Plano / Allen / McKinney — North of LBJ Freeway, this submarket has seen the arrival of high profile tenants. This includes Toyota, USA who arrived in Plano in 2015. Additionally, State Farm’s Richardson relocation raised the submarket’s profile. As a result, multifamily developers added over one-fifth of the Metroplex’s 24,411 new apartments. Far North Dallas — Beyond LBJ, this submarket has some of the Metroplex’s strongest growth. On top of that, Far North has DFW’s highest new construction concentration. What’s more, there are millions of new SF of projects in the pipeline. Right now, Far North Dallas has 42 MSF of rentable space. South Dallas — This area is great for industrial, transportation, and logistics. Also, it has abundant land at reasonable prices. On top of that, it is near major transportation arteries. More recently, smaller development projects have cropped up. Mid-Cities — In recent years, Mid-Cities has been one of the least active submarkets. Specifically, this suburban area between Dallas and Fort Worth has cities like Arlington, Irving, and Grand Prairie. Overall, Mid-Cities has experienced higher vacancy rates. As a result, it is attractive to tenants wanting deals on commercial office space. Arlington / Mansfield — In spite of Mid-Cities’ slow growth, this area has seen gains. At the end of Q2 2017, this are led all of DFW in quarterly direct net absorption gains. Fort Worth CBD — The heart of ‘Cowtown’. The CBD is 30 miles west of Dallas CBD. It has most of Fort Worth’s tall buildings. Despite setbacks, Fort Worth CBD is ready for new Class A tenants. Significantly, the 2018 completion of the $115 million Frost Tower will add inventory. In addition, Fort Worth CBD has seven hotels planned or under construction. South Fort Worth — Desirable for business, this submarket has one of DFW’s highest occupancy rates. Also, South Fort Worth has seen a 9.1% increase in annual Class A rent. This is one of the Metroplex’s largest increases. North/ NE Fort Worth — Elevated vacancy rates make this submarket attractive to tenants. Especially those seeking Fort Worth office, retail, and commercial spaces. CXRE can manage your office building or medical office building. For example, we provide various Dallas commercial property management services. We handle janitorial, elevator, facility maintenance services, and more. 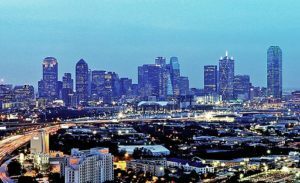 Learn more about our commercial real estate services in Dallas and the DFW Metroplex by reading: Dallas-Area Commercial Office Brokers or Dallas Commercial Office Leasing.